White House is the official home of the first family of the United States (the President and family) and the world’s most private and secured home since maximum security is provided for the leader of the US. The power house which is also the world’s most public of all private homes was constructed in 1792. Since its construction, the White house has been the home of the presidents of United States and has housed countless events and guests in its beautiful halls and rooms. The super building features 132 rooms, 35 bathrooms and 6 levels in the residence. It consists of 412 doors, 147 windows, 28 fireplaces, 8 staircases and 3 elevators. With White House tours canceled for the sake of safety and privacy, here are some of the rarest photos of the rooms and the surrounding grounds from the White house. Here is the official entry point of the white house known as the North Portico from where the President enters into the White House. The region and entry point were added in 1830 and is seen as the formal entrance for the President and guests. It boasts a covered exterior complete with Tiffany glass windows and it is exactly the point where the staff roll out the red carpet for the President and friends to walk on. This spot is known as the Jaqueline Kennedy Garden and was established in honor of the first lady to John F Kennedy, the 35th President of the United States who was murdered in Dallas in 1963. It can be found on the south side of the East Colonnade inside the White House. The garden boasts an extremely beautiful fountain and plants against an extraordinary and lush green landscape. Here is the White House outdoor swimming pool and adjoining cabana that was constructed in 1975 by Gerald R. Ford, the 38th President of the United States. Ford who had a keen interest in swimming desired a simple pool where he could bask and dip away the stress of leading the country. A cabana was later added to offer a changing area and showers and to screen the pool from the West Wing. An underground passage was also created to allow the first family to get to the cabana from the West Wing ground floor without going outside. The adjoining cabana reflects the White House design with white walls, sky lights and expansive windows. The South Lawn is located directly south of the mansion at the White House in Washington. It is sometimes described as the back lawn of the White House. This is a tiny sitting room located on the second floor of the White House. It was formerly part of the president’s offices until 1902 when the West Wing was constructed. The room turned into a sitting room for guests in the Queens’ Bedroom. 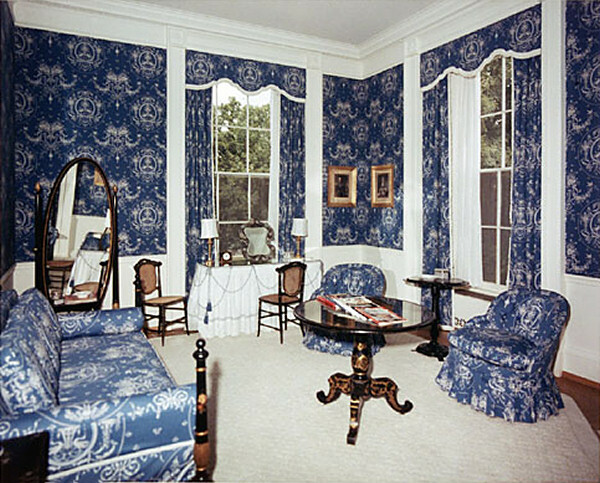 Queen is located on the second floor of the White House, part of a guest suite of rooms that includes the Queen’s Sitting Room. 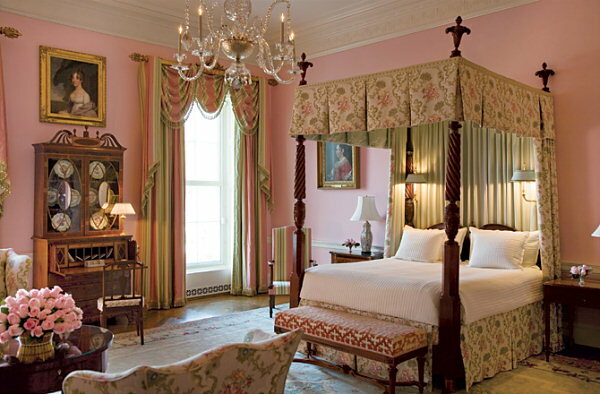 It was called the Queen’s bedroom because of the many royal guests it has housed in the course of their visitation and exploration at the White House. The room boasts vintage furniture and was furnished in 1868 Federal style with the bed thought to have belonged to President Andrew Jackson. Between 1902 to 1963, the room was called the Rose Room. This sitting room is just adjacent to the Lincoln Bedroom on the second floor of the White House, both of which got their names after President Lincoln. The sitting room as well as the bedroom boast of a Victorian era décor. The sitting room wasn’t always used as a sitting room it was formerly an official Telegraph Room between 1865 to 1902. Like the Lincoln sitting room, the bedroom is named after the 17th President, Abraham Lincoln. The room opens from the Lincoln Sitting Room. It also boasts of a Victorian era décor. Before it was extensively redecorated between 1948 and 1952, the room gained its namesake as it served as President Lincoln’s office during his term from 1861 until he was killed in Ford’s Theatre in 1965. This is the main stairway linking the State Floor also known as the first floor, to the second floor of the White House. 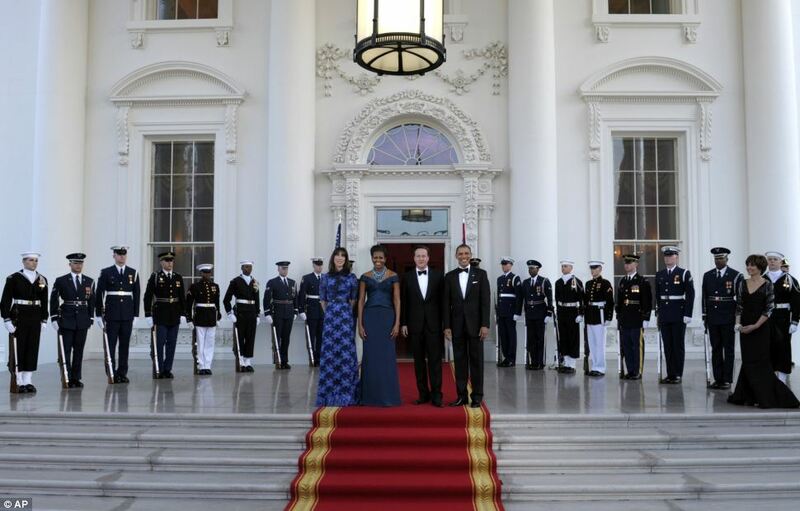 The stairway is basically used during the Presidential Entrance March and for special events and galas. The present Grand Staircase is the fourth staircase to be built for the space and was completed in 1952 as a part of the Truman White House reconstruction. To gain access to the Grand Staircase on the State Floor, it has to be through the Entrance Hall. The stairway features a red stair carpet with portraits of 20th century presidents and first ladies lining the walls. The Red room is among the three state parlors and it serves as a parlor and music room where presidents have always held small dinner parties and gatherings. 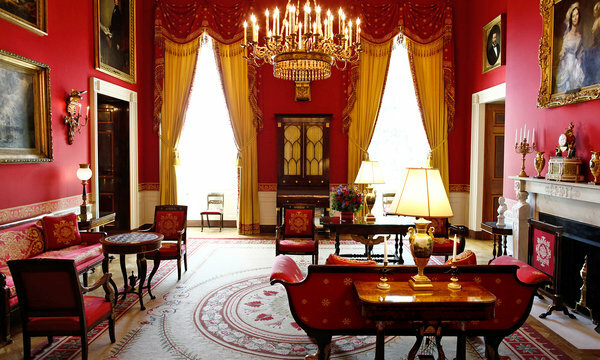 The small beautiful parlor in the white house is named for its floor to ceiling red décor and is accessible from six different doors. It boasts a stylish blend of vintage and modern furnishings. This is another area of the White House that is worthy of note. The area is a spacious majestic hallway running east to west where the President greets foreign dignitaries. It can also serve as a press room. 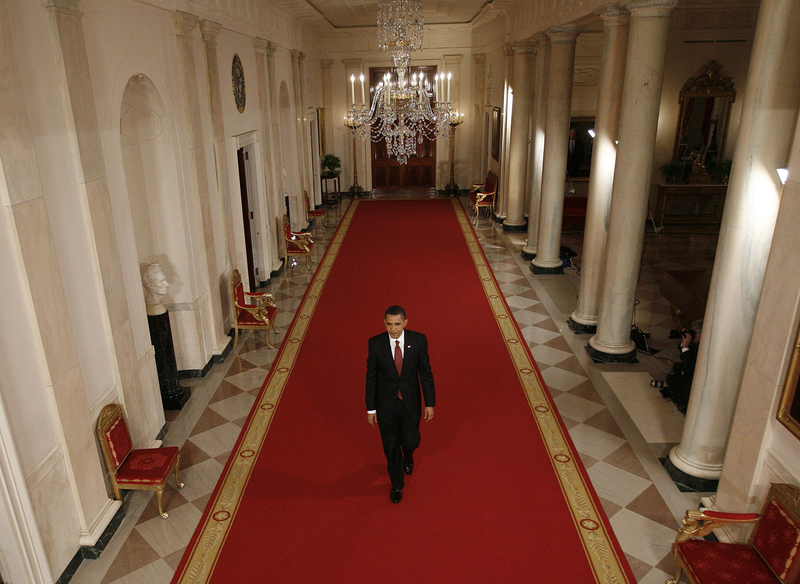 The exceptional hallway features presidential portraits dating back to Washington. This area is where world-class chefs are brought in to plan and prepare all menus and meals for the First Family. They prepare their private meals, their private entertaining, and meals for official state functions at the White House. The facility is the central point of life in the White House. It the area where fresh produce from the White House Kitchen Garden is harvested and also where the White House gingerbread house is built every holiday season. The White house features about 28 fireplaces throughout the home. This space is decorated for Christmas and it boasts a teddy that looks exactly like the Obama family dog, Bo. The room is lined with books and serves as a closed space for quiet reading and relaxation. 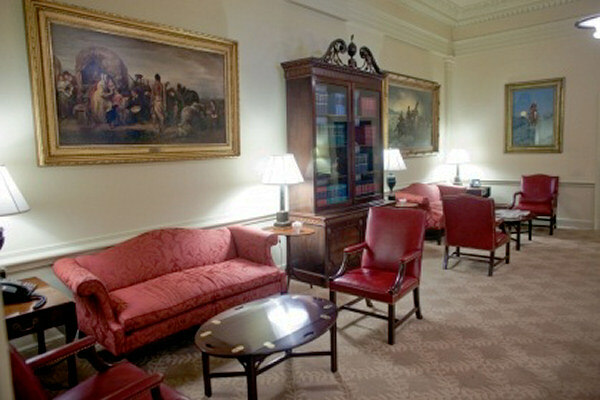 Vermeil room can be seen on the ground floor of the White House. It is home to the collection of silver glit or vermeil tableware. The request to start the collection was first made in 1956 by Margaret Thompson Biddle and has continued ever since. The room has a very beautiful style and a neutral color palette, and portraits of first ladies hung on throughout the room. This room is also found on the first floor and is also used for collecting tableware. The room houses the White House’s collection of the finest china in the world that covers presidential collections starting with George Washington’s delicate export china. The collection started with First Lady Caroline Harrison who was a big china painting fan. The collection continues till date in the room basically used by the first lady for teas, meetings, and smaller receptions. This room is located on the ground floor of the White House. The room which got its name for its use during World War II was first created by Franklin Roosevelt. President Roosevelt used the space as a situation room where maps to track the progress of the war were kept. The Map Room has been transformed through the ongoing renovations and is now used for television interviews and small social gatherings. Irrespective of the fact that the President has his own private dining room, the Navy Mess Hall in the West Wing ground floor has a restaurant run by the US Navy called in military terms a “mess hall”. This is where the President and First Family host their guests. The room is decorated Navy style with wood walls and décor. The room is particularly used for events that have to do with active duty military personnel. This area is a small theater in the West Wing of the White House where all media events from the President take place. The White House Press Secretary gives daily briefings to the media here. 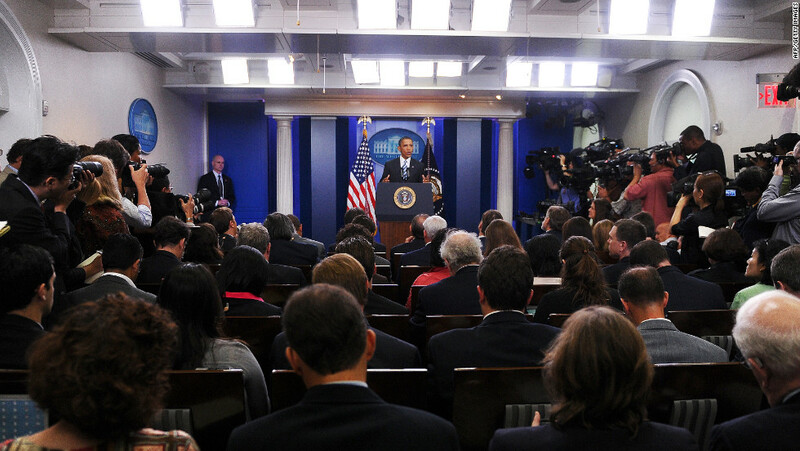 The President also uses this room in addressing the nation as well as the press. 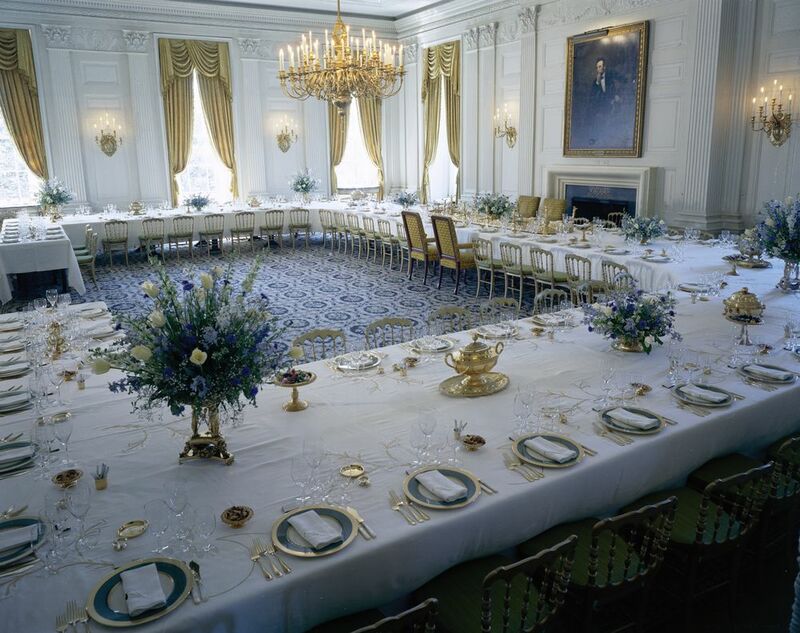 The space was formerly smaller than it is today but, due to a renovation by President Richard Nixon in 1969, the room was expanded to meet the rising needs. Before the expansion of the Press Briefing Room as well as additional offices for official journalists, the West Wing Lobby pictured here was utilized for official press meetings. Prior to renovations in 1934 that created additional office space, the lobby was considerably larger. Today, the area serves as a waiting room for staff needing to meet with the President. The president’s West Wing study and dining room also known as Oval Office Dining Room is found off the Oval Office, through a small corridor past the president’s private study. In this room, the president may have casual meals alone or with staff and catch the news on television or discuss White House policy. Because this room is usually furnished with a small television, it is often here that the president first sees news events being reported from around the world. This is the larger of the two formal dining areas in the White House, both of which are located on the State or first floor. This regal dining hall is used for receptions, luncheons and formal dinners commonly known as state dinners for visiting heads of state. With seating for 140 guests, this is the official Presidential dining room. Arguably the most iconic and famous room in the whole of White House, the Oval Office is where the President carries out his daily duties in leading the United States. The room is open to three south-facing windows and features a fireplace as well as gorgeous views of the White House lawns. 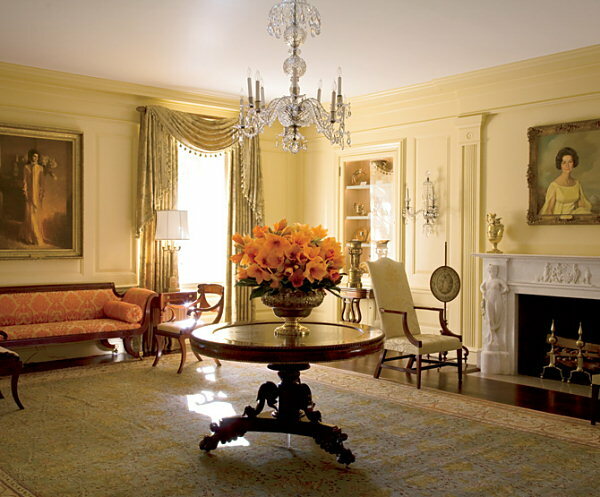 The Oval Office décor is usually not the same for each President as the room is often converted to completely suit the President’s taste and comfort. In 1942 when the current East Wing building was built was when the family theater was converted from a long cloakroom. The room has about 40 well-upholstered seats, set behind four big armchairs formerly installed by Dwight Eisenhower. For several years in the past, the decor was mainly white curtains with a red floral design, but in 2004, it got a makeover in red. 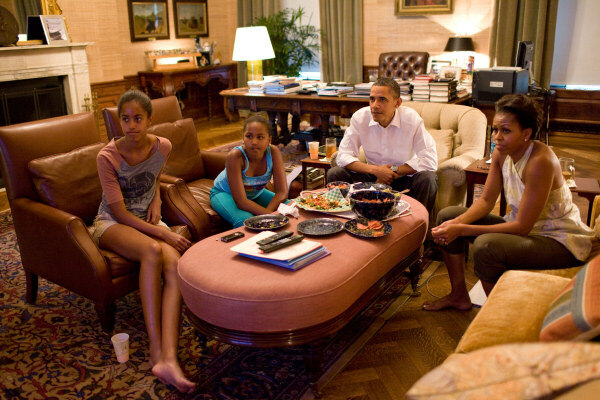 The room is sometimes used to rehearse major speeches, like the State of the Union address each January, but much more often, it is used by the first family in indulging a movie of their choice screened at any time of day and night for themselves and their guests, often sent directly from Hollywood before its release. This room is located on the second floor of the White House. The room can be accessed from the second floor Center Hall on the east side of the room. The room boasts a big lunette window on the west wall which looks out upon the West Colonnade, the West Wing, and the Old Executive Office Building. 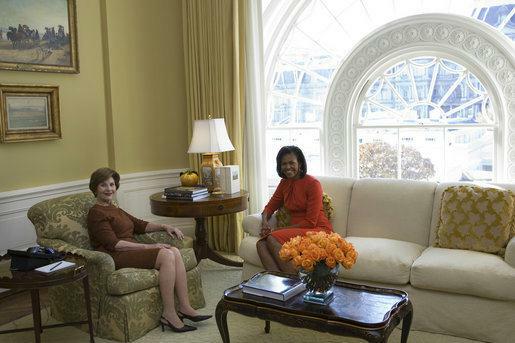 The First family uses this room as a less official living room than the Yellow Oval Room. 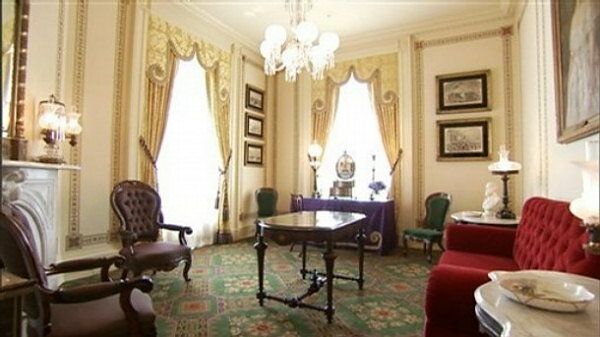 This room is located on the second floor of the White House and is a part of the first family’s private apartments. It is also used as a study by the president.